COP14 opens this week, but these global talks aren't about climate change. Parties to the Global Convention on Biodiversity are meeting in Egypt to prepare for a potential landmark biodiversity deal in two years time. If you’re interested in climate change, you will almost certainly know about COP. You’ll recognise the Conference of the Parties (COP) as the name given to the set of annual conferences negotiating global efforts to tackle the escalating climate change crisis. In a few weeks, COP24 will begin in Poland, with the aim of creating a rule book for the implementation of the landmark Paris deal agreed at COP21. “Biodiversity loss represents one of humanity’s greatest challenges,” Palmer told Unearthed. But while the challenge to stem the loss of biodiversity has echoes of the climate change movement, the issue can seem far more disparate; more of a mish-mash of multiple interconnected problems. It’s the widespread disappearance of insects that are an essential food source for animals and perform a crucial role in human food production. 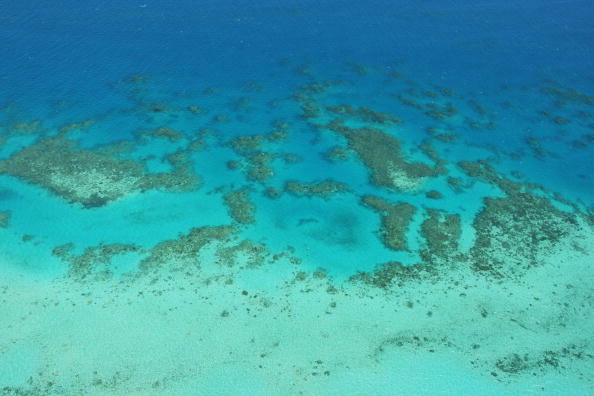 It’s the mass bleaching of coral reefs that support fisheries and protect coastal communities from storms. It’s the permanent destruction of forests and trees that soak up carbon emissions and toxic air pollution. Is the biodiversity COP similar to the climate COP? The CBD is not dissimilar to the United Nations Framework Convention on Climate Change (UNFCCC). Both are international treaties that emerged from Rio de Janeiro’s landmark Earth summit in 1992. Both have signatories from 196 nations, although the US has never ratified the CBD. Since 2012, the CBD has been supported by the Intergovernmental Science-Policy Platform on Biodiversity and Ecosystem Services (IPBES), an independent, international body that provides scientific assessments about the state of the planet’s ecosystems and their benefits for people. In many ways then, IPBES is the equivalent of the IPCC. Next spring IPBES will launch its first global assessment about the state of global ecosystems, progress towards current targets to address their decline and the policy options available to remedy the crisis. One key difference is that while the climate COPs take place every year, the biodiversity conferences happen once every two years. They are also met with far less interest from politicians and the media, and so generally face much less controversy. “It’s a bit smaller and there is a collaborative atmosphere,” says Georgina Chandler, RSPB’s international policy officer, who is attending this year. So is there going to be something like the Paris deal? That’s the general idea. COP14 is the last global meeting before 2020’s conference in Beijing, where delegates hope nations will strike a landmark deal with a globally recognised target, like the climate targets in the Paris agreement to limit temperature rise to 1.5 or well below 2C of warming. But finding a target for biodiversity is trickier, because unlike emissions, there isn’t one obvious measure of biodiversity loss – or gain. One contender is put a certain proportion of the Earth’s land and sea under protection – some say these areas should cover half of the land’s surface. A more likely target might be 30%. The UK recently backed calls to protect 30% of the world’s oceans. A similar target to protect land is being mooted, but it would face the challenge of land rights and ownership, so would be much more controversial. But what does protection mean? What is land or sea protected for, and from what, or for whom? For example, in theory large areas of the UK are protected because they are designated National Parks, but these areas can also be some of the most heavily grazed in the country. Measuring biodiversity in this way also doesn’t recognise the need to halt extinctions, or that certain areas have very specific or unique biodiversity value. An alternative could be to reverse the rate of global biodiversity loss, or to protect areas with the highest or rarest value. Are there any targets already? Yes. At the moment, there are 20 targets and five strategic goals, which can be hard to measure. The Aichi targets were set in 2010, but they aren’t legally binding. Most targeted 2020 as the year by which they should be achieved. Some are quite vague: to make people aware of the value of biodiversity and to ensure its science base is improved and widely shared. Others are very specific, and eight years on, read as wildly ambitious: to halve, or bring to zero where possible, the rate of loss of natural habitats and to ensure all fish stocks are managed sustainably. The IPBES will publish its assessment of progress on these targets next year. “Without pre-empting that report, it’s widely accepted that we are not on track to meet most elements of most of the targets,” lead author and chief scientist at BirdLife International, Stuart Butchart, told Unearthed. But there are some successes. 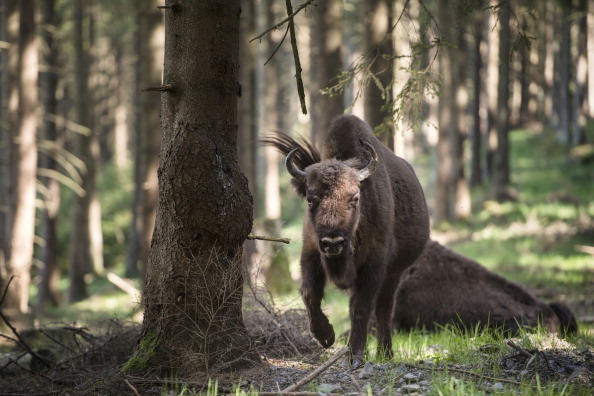 There are many examples of species that have been brought back from the brink of extinction, such as the Californian Condor, the Mauritius Parakeet or the European bison (pdf). The number of protected areas has also grown considerably. “While the global protected area network has increased in extent, it still fails to cover many of the most important places for nature: key biodiversity areas, and many protected areas are inadequately managed or ineffective,” Butchart said. What’s happening this year then? As it’s the last major meeting before 2020, it’s largely about getting ready for Beijing, so it could be pretty technical and focused on deciding the structure of any deal and the process leading up to then. There will be discussions about the potential for an over-arching target and what needs to happen before then to make that possible, such as by commissioning further science. Debate could also focus on the need for accountability and transparency, which could take lessons from the Paris deal. “Some are calling for the CBD to take a leaf out of the climate negotiating book and consider an approach whereby national governments make voluntary commitments on tackling biodiversity loss, which are then embedded within a legal framework that requires them to ratchet efforts up over time,” said Butchart. At climate conferences, the US, China and EU are often seen as the key players because of the amount of emissions they are responsible for. But with the CBD, the politics are more based on the countries that are home to tracts of biodiversity. Brazil, home to the Amazon rainforest and one of the world’s biggest agricultural exporters, has one of the strongest voices. As delegates at the climate COP in Marrakech two years ago reeled from the election of Donald Trump, so at COP14, delegates are concerned about the impact that Brazil’s newly elected far-right leader Jair Bolsanaro will have. “They have very capable negotiators, who will be facing huge uncertainty around the actions of the incoming administration. As was the case following the election of Trump, the US environmental community developed a set of responses and the world followed, so too will the international community await for Brazilians to respond,” Chandler told Unearthed. The EU is also a big player, providing much of the funding. Russia and Canada, home to vast tracts of wilderness and extractive industries, could also play a significant role. African countries, such as the Democratic Republic of Congo, South Africa and Rwanda, also hold sway, and will convene their own summit ahead of the opening of COP14. So why haven’t I heard of this before? Compared to coverage of international climate conferences, the biodiversity summits hardly get a look in, a discrepancy broadly reflective of media coverage of the two issues in general. 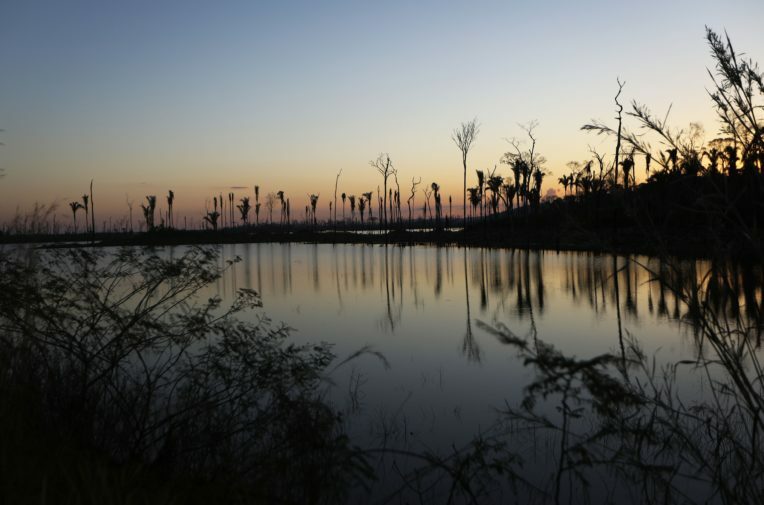 In fact, a recent review of media articles published since Rio’s Earth Summit found that coverage of climate change was about eight times higher than for biodiversity. And while climate coverage has increased exponentially since then, with marked peaks during significant climate conferences, coverage of biodiversity has remained on roughly the same level and seen only a mild difference during COPs. Butchart puts that down to difficulties in pinning down one clear definition of biodiversity. “People see Attenborough documentaries describing the negative impacts of plastic pollution in the ocean, and they understand that, but it’s only one aspect of the environmental degradation of the planet. With climate change, the problem basically boils down to rising greenhouse gas levels.